Pouting in her Pinot, this little lady really is drinking like a fish! 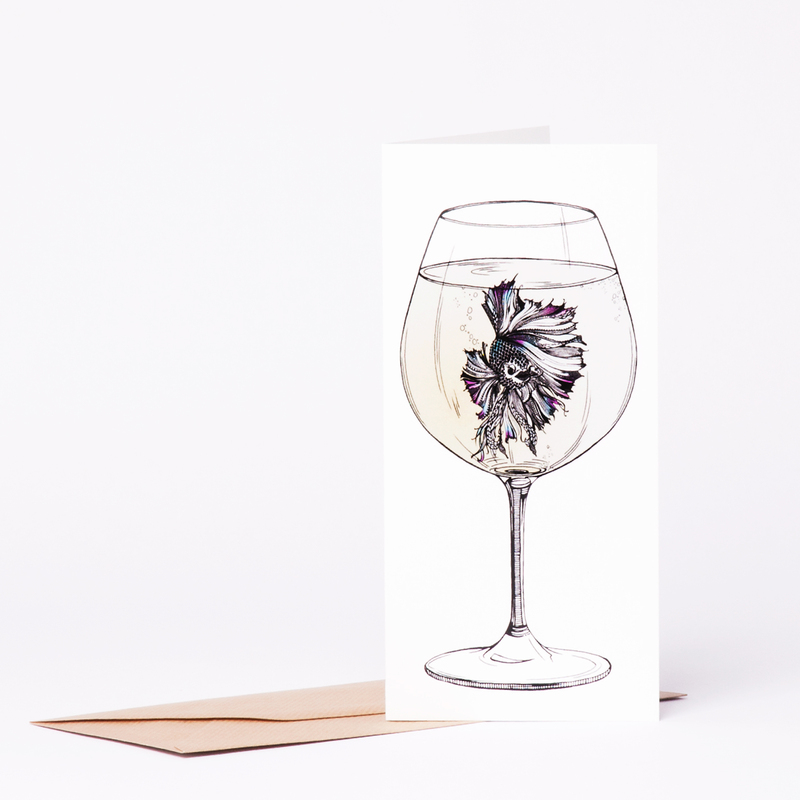 A fun celebration card for any occasion....Cheers!! High quality silk card, 350gms Card Dimensions: H21 x W10cm. DL sized card with brown ribbed envelope to fit. Portrait Orientation.